The team from SOS Radio 90.5 / KSOS celebrated the reopening of the federal government on Monday by feeding 700+ Las Vegas TSA workers! The SOS Radio team wanted to encourage its local federal workers by feeding the whole TSA staff for the ENTIRE day! The SOS team provided meals for the breakfast, lunch, dinner AND overnight shifts on Monday, January 28th! Johnny Marquez, a junior at Sierra Vista High School in Las Vegas, caught the vision and rallied his student council classmates to raise a couple hundred dollars in seed money to feed one of the TSA shifts. He reached out to other high school clubs like Fellowship of Christian Athletes (FCA) and ended up raising over $900 dollars! 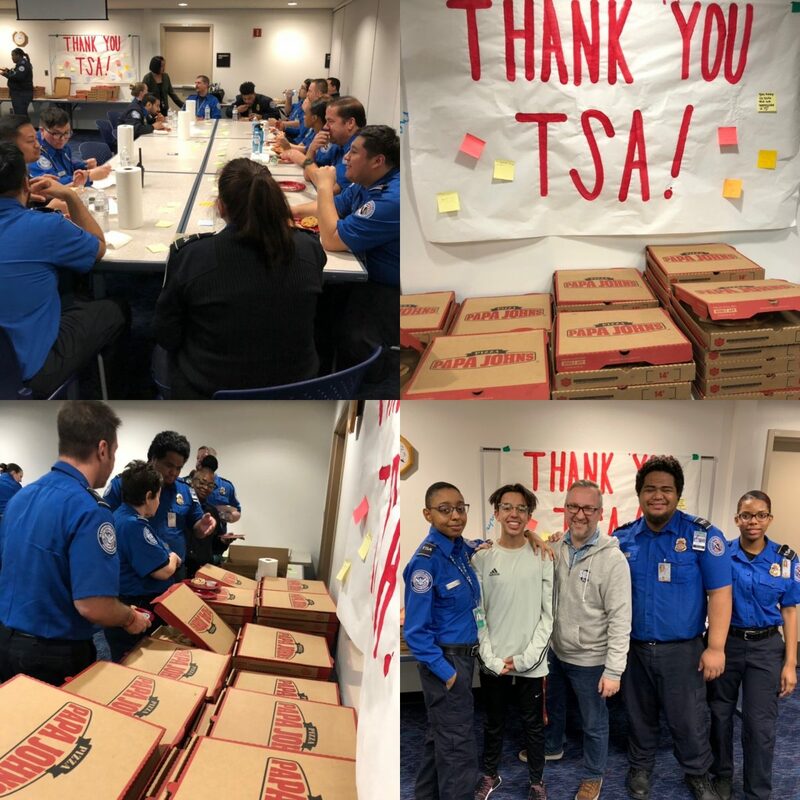 Flatbeds full Krispy Kreme Donuts, breakfast sandwiches from Truffles & Bacon Cafe, Papa John’s Pizzas and truckloads of beverages and desserts were delivered for all 4 TSA shifts.